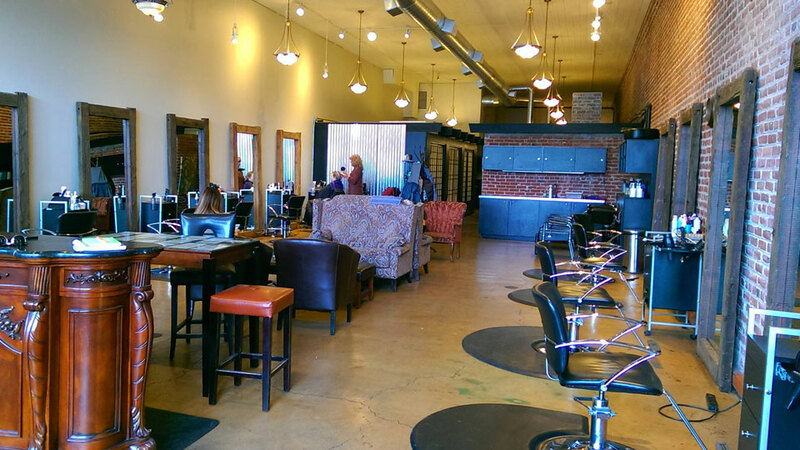 Located in downtown Bend, Azura Studio Hair Salon and Spa offers a full range of services for men and women. Azura stylists have a sophisticated understanding of the subtleties of cut and color. They know that just the right shade and style can transform your skin to bring out your natural glow. Hair services include cut, style and shampoo and hair extensions. Azura offers a wide range of color services, including highlights, ombre and baliyage and uses quality color products from Difiaba, Goldwell, Paul Mitchell, Pravana and Schwarzkopf. Azura’s stylists can also create intricate updos to bring glamour to your prom, bridal parties or other special occasions. Complete your look with eyelash extensions, brow microblading, facial and body waxing and teeth whitening, all provided by the highly trained hands of Azura’s attentive technicians. You can also give your High Desert glow a boost with spray tanning services, a microcurrent facelift or one of Azura’s signature facials. The salon’s retail store stocks a full range of products from UNITE, EVO, Kevin Murphy, Onesta and Redken so you can keep your look salon-fresh for weeks to come. Azura also believes beauty starts inside, which is why they sponsor community events to help the local homeless community, at-risk youth, school programs, animal rescue, Disabled American Veterans and Alzheimer’s nonprofits.